Throughout Paris Games Week there have been a few big announcements, along with further news on games such as Horizon Zero Dawn and WiLD that were already known about previously. 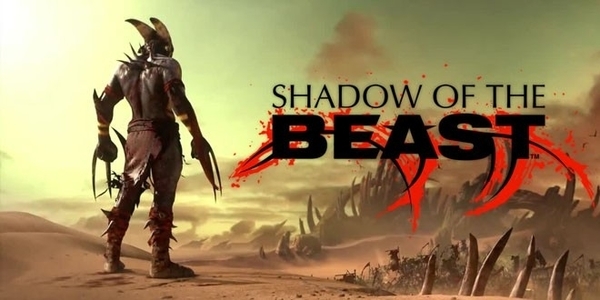 Shadow of the Beast was one title that had been known about since its original announcement back at Gamescom in 2013. However, the small team of developers at Heavy Spectrum kept most of the information about their debut console game behind closed doors until E3 of this year. Since E3, it had stayed relatively the same in regards to any updates or news about this bloody remake of the 1989 sidescroller of the same name. Although they have not given any additional details about the game’s storyline, the developers have revealed a new trailer that combines gruesome gameplay with quick cinematic camera angles. 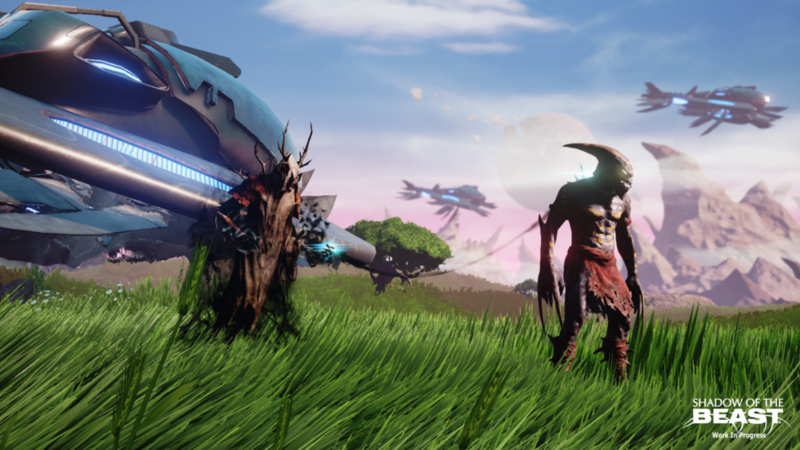 Shadow of the Beast is a remake of one of the developer's favorite games when they were younger. Because of this, they have made it of the utmost importance to deliver a bloody, action-packed side scroller. But more so, to restore the core elements of the game that were insufficiently portrayed on the inferior technologies of the late 80s. From that standpoint they have reimagined the side scroller genre in and of itself, bringing forth a title that blends 3D side scrolling action with quick up-close camera angles that flaunt the brutal attack sequences. 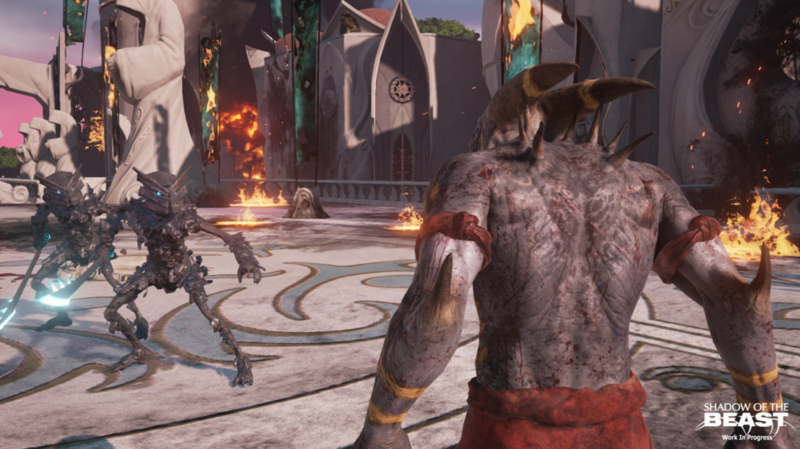 In Shadow of the Beast gamers will play as a living weapon known as Aarbron. Forged by something or someone known as the evil Maletoth, you will roam the eerie, yet beautiful alien landscapes of Karamoon, encountering violent creatures along the way. In terms of a storyline, not much is known just yet of why Aarbron is on this deadly quest. Despite this fact, players should just be prepared to slash, decapitate, and completely eviscerate anything in sight if Shadow of the Beast is in their console. 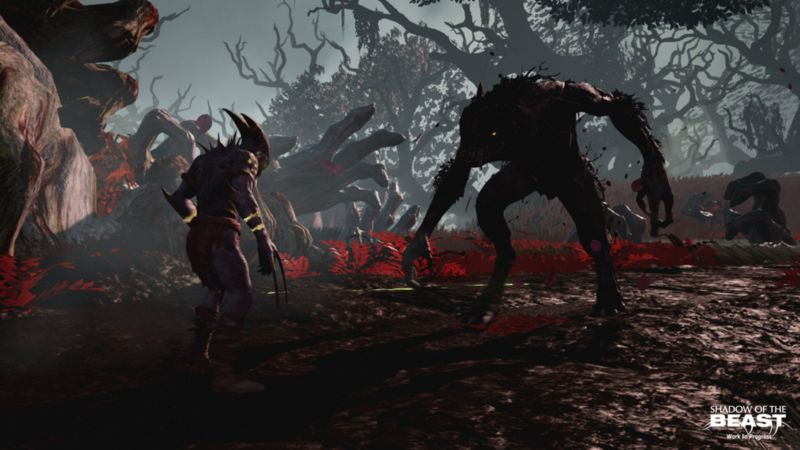 Shadow of the Beast is expected to launch exclusively to PlayStation 4 sometime in 2016. Although, an exact release window has not been announced.